Arguably, the Mikoyan-Gurevich (MiG)-21 would have to be the most significant fighter aircraft of the Cold War era. Whatever it was, it was certainly one that was one that was widely produced, distributed and used by the former Soviet Union and members of Soviet Bloc countries seeing service with some forty odd different nations throughout Eastern Europe, Asia and Africa since the late 1950s. 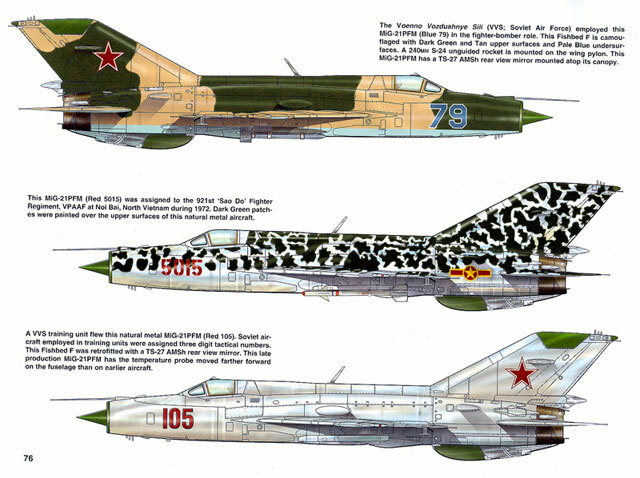 Dubbed "Fishbed" in the North Atlantic Treaty Organisation (NATO) identification system, the MiG-21 was conceived as a replacement for the Soviet Air Force's MiG-17 and MiG-19 fighters. The project began in 1953 with the first flight in 1957 and deliveries of operational machines beginning in 1958. The book is authored by Hans-Henri Stapfer with colour by Don Greer and David Gebhardt with illustrations by Darren Glen and is part 1 of the coverage of the machine by Squadron/signal. 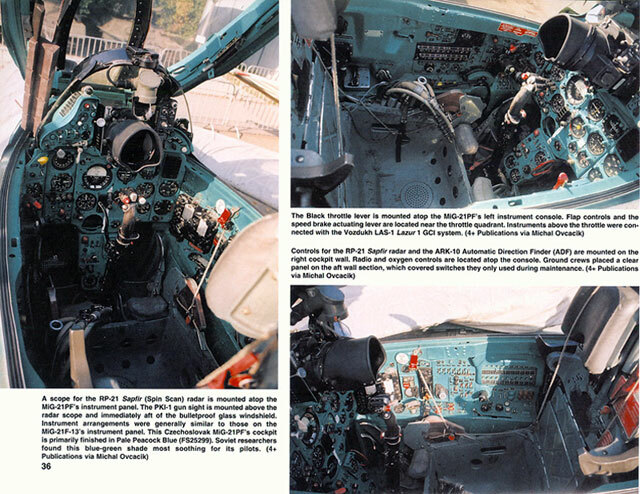 It concentrates on the single seat MiG-21F-13 (Fishbed C), MiG-21F (Fishbed D), MiG-21F (Fishbed F), versions and the two-seat trainer versions, the MiG-21U (Mongol A), and the Mig-21U (Mongol B). It follows the established Squadron /Signal Publications Walkaround format of extensive photographic coverage and the history of the aircraft being conveyed in the captions to the photographs. 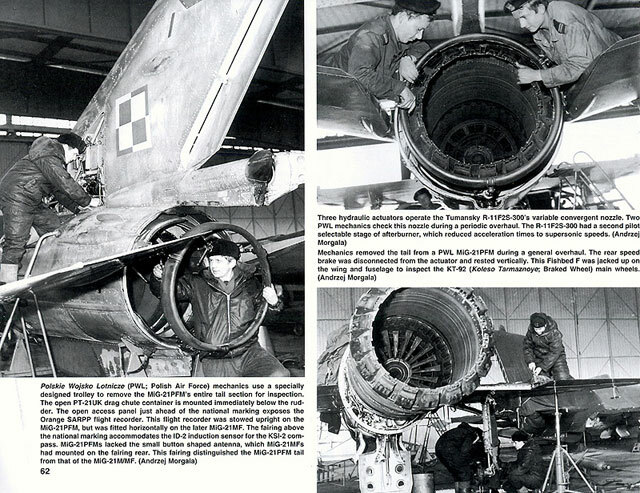 It follows a logical sequence that commences with the development of the MiG-21 and carries on with a description of each of the variants covered in the scope of this volume. There was a time when the only photographs of these machines were grainy black and white examples obtained using long focal-length hand-held cameras. For the modeller, this was frustrating as building an accurate replica was nigh on impossible. Times have changed however and this book is chock full of sharp clear photographs in both colour and black and white that cover every nook and cranny of these machines. The photographs seem to be a mixture of 'official" ones from former Soviet Bloc air forces and of preserved museum pieces. The book is in landscape format, consists of 79 glossy pages that contain 100 full colour photographs, 113 black and white photographs, 12 line drawings and 12 colour profiles between cardboard covers. 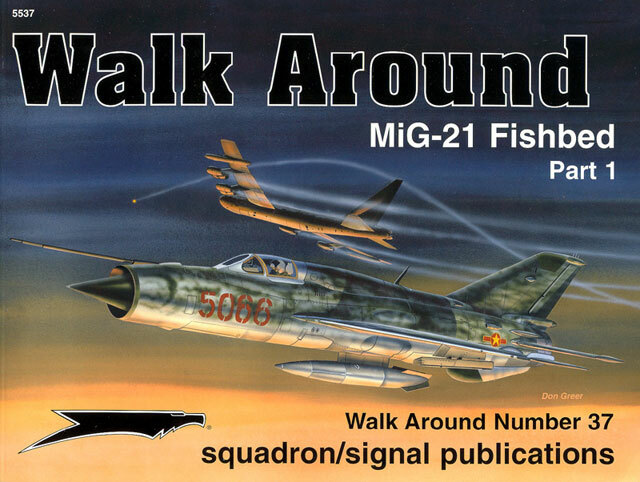 If you plan on building a scale replica of the MiG-21 then this book is a pre-requisite for your project. It provides you with excellent clear photographs of the entire airframe so you have no excuses for not adding all the details! As with all of the Squadron/signal Walk Arounds I have seen, it is an excellent reference book at a very reasonable price.